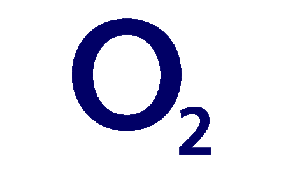 We review the coverage, 4G speeds, pricing, special offers, tethering, customer service and more that you get with any Vodafone SIM only deal or phone contract. SIM Sherpa is your trusty guide. Last updated: 20th March 2017. According to 4G.co.uk's latest statistics, Vodafone's coverage for making basic phone calls was available to 99% of the population in the UK, so are joint top provider to join for basic calls and texts. For mobile data, 88% of the population was covered by Vodafone's fast 4G services, which puts them second best behind EE but ahead of O2 and Three. 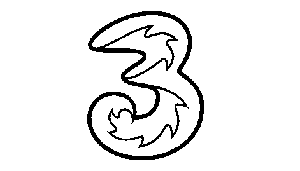 For slower 3G speeds, which act as a back up when there's no 4G available, Vodafone's coverage stood at 96% of the UK, marginally behind the other 3 networks by a couple of percent. 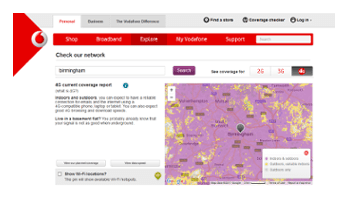 While stats are handy, realistically the best thing to do is always check what coverage you'll get in your area using the network's official coverage map (see Vodafone's under the link below). Useful link: Check Vodafone coverage near you. 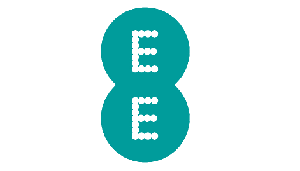 If you want the knowledge that you're getting the very fastest 4G download speeds available in the UK, Vodafone aren't the network to join (see EE). But if you just want competent 4G speeds that let you watch videos and browse quickly, Vodafone are a safe bet. We expect their typical 4G speeds to come in at around the 21 Mbps mark. 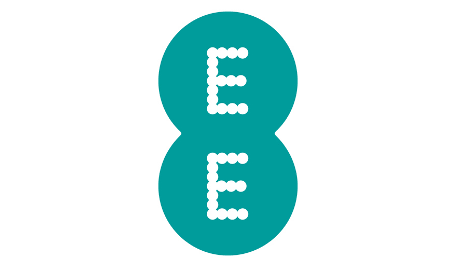 These are good speeds that would let you comfortably stream HD video, they're just quite as fast as EE (read our full comparisons between Vodafone and Three or Vodafone and EE in our vs guides). Useful link: See where Vodafone have 4G. 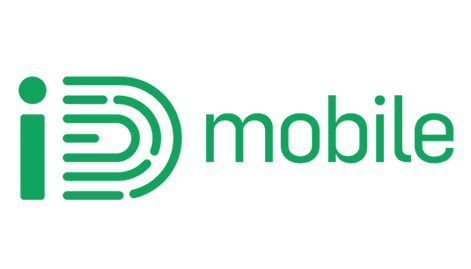 The claims come as a result of a study by network testers for the mobile industry P3, who every year conduct a test of each mobile network in different locations across the UK to see how they perform. 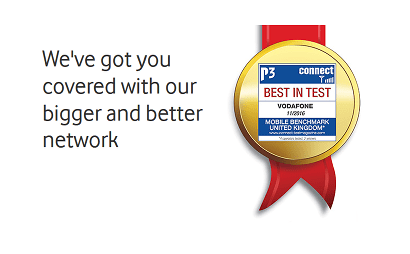 In their November 2016 test, P3 found Vodafone to be the most reliable network when it came to call setup time, call success ratio and speech quality. You can read all P3's findings in their PDF here. For you, that shows that Vodafone are a reliable provider to make sure you have the best experience making and taking calls on your phone (something you could argue some networks have forgotten is important!). Vodafone say they're investing a colossal £2 billion in their mobile and fixed networks to keep the improvements coming. You can find out what that will mean for you under the link below. No matter how good a network's coverage is, sometimes you'll find yourself in a location with no mobile signal but where there is WiFi (like indoors behind thick walls or underground). 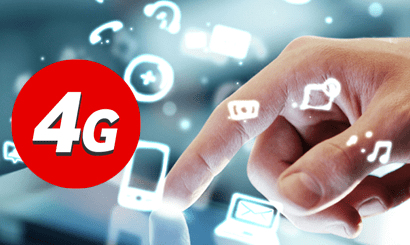 Vodafone's WiFi calling feature offers the solution by allowing your phone to use WiFi signal to connect to their mobile network just like normal, so you can make and take calls (see all networks offering WiFi calling here). Where Vodafone's WiFi calling really excels over other networks' solutions, is that you don't have to any run separate apps because it works seamlessly in the background. 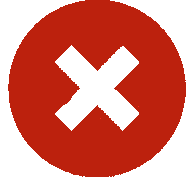 There are some limitations to Vodafone's WiFi calling: it only works on selected phones, which you have to have bought from Vodafone in the first place (because they have their special software pre-installed on them). 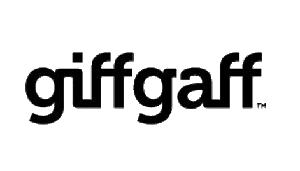 Useful link: Learn more and see which phones are supported in Vodafone's full WiFi calling guide. 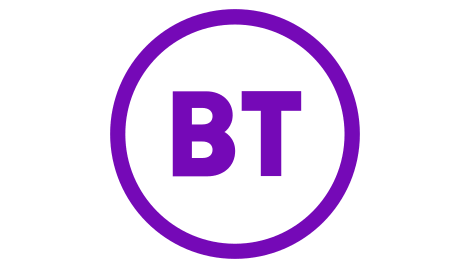 Tethering is a feature available on most modern smartphones that lets you use your mobile data signal to create a small personal WiFi hotspot, which you can connect other devices to like laptops or tablets. Some networks prevent this activity to stop you using up data (because data is also expensive for them). 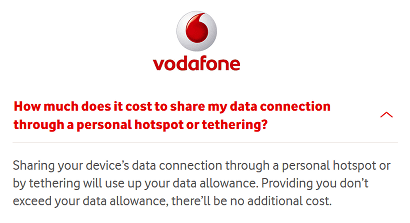 Vodafone allow tethering on all their plans with no restrictions, so gets full marks from us in this category. Remember that when you use your phone for tethering, you're more likely to use up your data allowance. After that you'll have to pay extra for more data at Vodafone's standard rates. 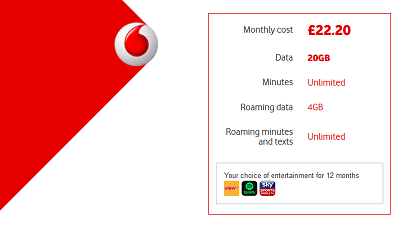 Useful link: See costs for going over your data allowance on Vodafone. 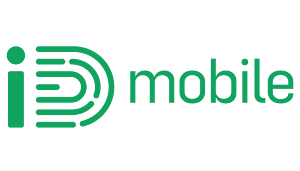 Most mobile providers operate what is called a Traffic Management policy to ensure their networks are kept up to full speed for regular users. To do this they might slow down particular activities. Vodafone reserve the right to block anyone whose usage is causing harm to their network (this will be unusual activity, not just using your phone for what it was intended). They also state that in built-up or congested areas where people are using their phones, they will prioritise calls over data connections (something standard to any mobile network). All in all, regular users will never see their speeds deliberately slowed down by Vodafone. Useful link: Read Vodafone's full Traffic Management policy. 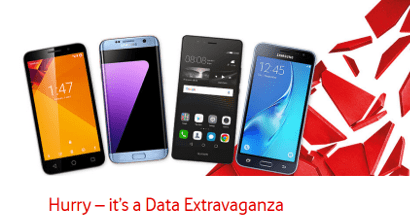 Throughout March, Vodafone are running what they call a 'data extravaganza' event (read our guide here). What it essentially means is that on every phone in their Pay Monthly range, Vodafone are giving away 24GB of data on a plan that would normally come with 6GB. If you're a heavy data user, this would save you against buying one of Vodafone's regular high data plans with your phone contract. 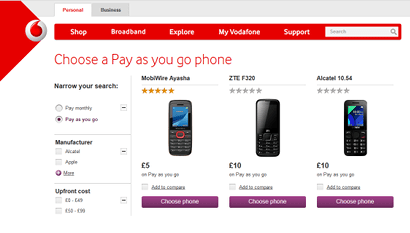 Useful link: See the phones with extra data at Vodafone.co.uk. As well as giving away extra data with their phones, Vodafone have also reduced the cost of selected SIM only plans with higher data. At the moment, that means you can save 40% against the regular price of their deals that come with 12GB or 20GB monthly data. 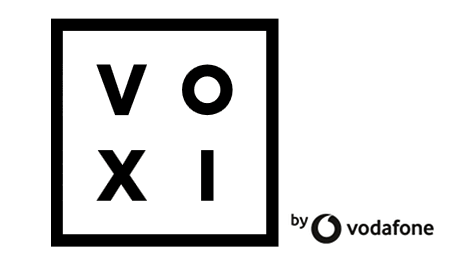 Both plans also include EU roaming minutes, text and data, as well as your choice of subscription to one of Vodafone's chosen entertainment providers. 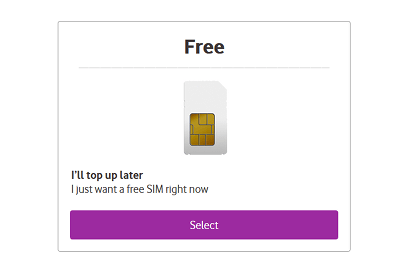 Useful link: See reduced SIM only plans. Typically, Vodafone will have 15 - 20 choices of SIM only plans for phones available at one time. These are priced between £9.50 a month up to anywhere around £30. A quick glance at a comparison website like Uswitch.com will tell you that price-wise, Vodafone aren't the cheapest around for SIM only (see also our deal comparison tool here). That said, Vodafone have chosen not to let any other provider use their 4G network, so if you know their coverage is good near you, it could be worth paying the premium for a good service. It's also worth looking out for Vodafone's discount SIM only plans (there's normally at least two on sale at once), as these are typically much more competitive. 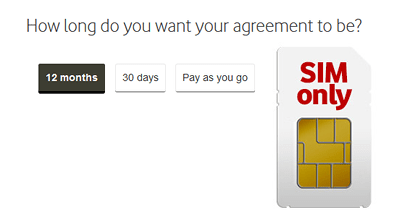 Vodafone are flexible in letting you choose between a short 30-day SIM only contract or a longer 12-month one. 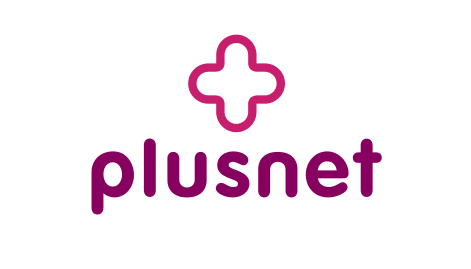 The benefits of the shorter plans are you can move tariff each month if you find your needs change or leave Vodafone altogether with just 30 days' notice. Their 12-month contracts usually come with £2 a month saving against the cost of an equivalent 30-day plan. Plus you can only get the benefits of Vodafone's inclusive roaming and entertainment subscriptions on the longer term deals. 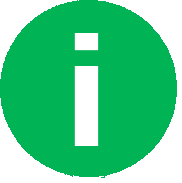 As people use more and more data on their mobiles, the networks have had to keep up by offering ever larger data allowances. Most months, Vodafone's biggest data allowance you can get on a SIM only deal is 20GB, which is sizeable but not as big as some of their competitors offer (most notably Three who have 30GB and unlimited data SIMs). Again, if you manage to order during one of Vodafone's seasonal promotions, you can sometimes get larger data allowances too. Vodafone always release the leading handset models at the same time as the rest of the market, meaning you can pick up the top-end Samsung Galaxy and iPhone handsets. Although they don't stock the Google Pixel yet. 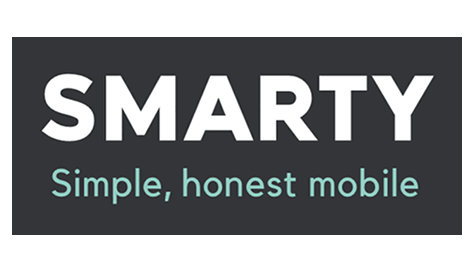 They also produce their own range of Android smartphones, which generally get decent reviews and typically start from the £15 a month mark. Among, their 44+ models, you'll also find handsets from BlackBerry, Huawei, LG, Motorola and Sony. Useful link: See all phones available on Vodafone. As with their SIM only plans, searching a comparison website like Uswitch.com will rarely show Vodafone as the cheapest monthly option but at least their upfront costs are usually either £0 or low compared to other networks. 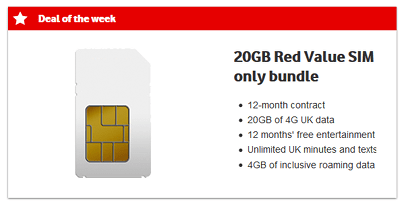 Vodafone are also one of the last networks to still offer phones on a 12-month contract. Ideal for people who know they like to change phones every time a new one is out. When there are no promotions running you can typically get up to 20GB on your plan with a phone and selected tariffs also include EU roaming mins and data and/or a sports, music or TV entertainment subscription. Useful link: Compare plans available with a phone. 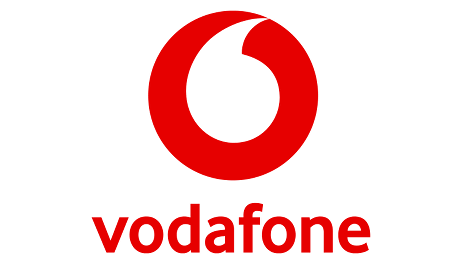 If you're looking for a classic Pay As You Go style deal where you top up with credit and just pay for your calls, texts and data out of that, Vodafone probably aren't the best provider for you. All their deals are based on buying monthly bundles of minutes, texts and data. Each bundle comes with unlimited texts and between 500MB to 12GB data and 150 to unlimited minutes and lasts for 30 days at a time. You can choose different bundles each month or not to take any bundle at all. One nice feature is if you end up with leftover data at the end of your 30 days, it will be rolled into the next month. 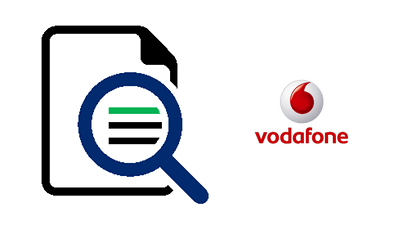 Vodafone call this data rollover (read full details here). 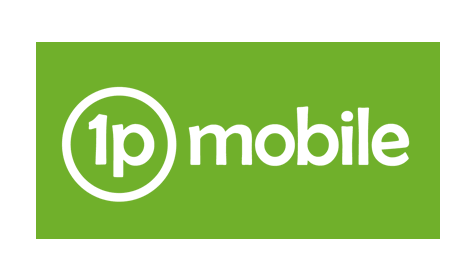 For simpler Pay As You Go rates, cou could try Talkmobile who use Vodafone's network (read our Talkmobile review here). 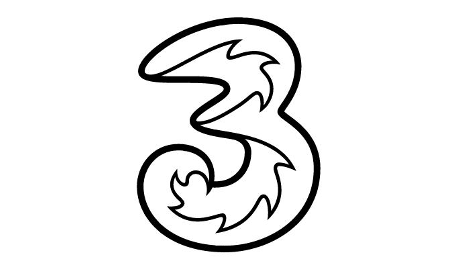 Or for the very cheapest PAYG rates in the UK, we recommend Three's 3-2-1 plans. 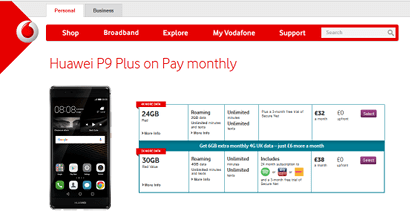 Useful link: See all Vodafone's Pay As You Go bundles. If you don't want to pre-select one of Vodafone's PAYG bundles, you can just order one of their SIM cards completely free of charge. Just order a free SIM, put it in your phone and check how many bars of signal you have in the places you want to use it. Then if you like the service, you can upgrade to a Pay Monthly product later. 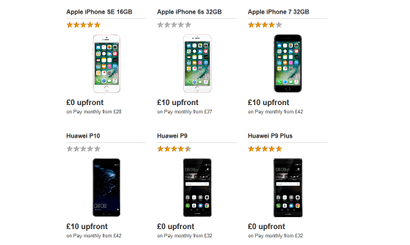 Vodafone are a decent provider for buying a phone up front, which comes on a Pay As You Go tariff with approximately 40 models to choose from at any time. Prices start from just £5 for simple talk and text model. Or there's a healthy range of Android smartphones under £100. You'll need to buy the phone alongside a monthly 'Big Value' bundle of minutes, texts and data to get that pricing. Vodafone have one of the most comprehensive range of data-only SIMs for tablets, iPads and mobile broadband devices. Choose from as little as 2GB a month or as much as 50GB (the biggest allowance out of any network at the time of writing). You can pick either a 12-month contract or 30-day one with very little price difference between the two. On the higher data 12-month tariffs (30GB+), you'll also get 2GB of roaming data in the EU. Their USB data dongle plugs into single devices like laptops and comes with up to 50GB data. 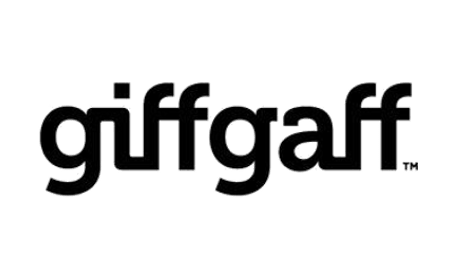 Their Mobile WiFi device lets you connect up to 5 devices wirelessly at 4G speeds. Their in-car WiFi device is essentially just the Mobile WiFi device above but comes with a car charger included. Vodafone have made a decent step towards catching up with Three's Feel-At-Home, which lets you roam for free in these 42 countries. You'll now get a separate allowance of minutes, texts and data to use in the EU each month on the top 50% of their Pay Monthly bundles. You can use your inclusive roaming allowances in all these 40 European countries. Remember if you use up all your roaming allowances, you'll be charged at Vodafone's standard roaming charges (see all costs here). Inclusive roaming is available with any phone contract, 12-month SIM only contracts and selected Pay As You Go bundles too. If you want to go outside the EU or don't have inclusive roaming in your bundle, Vodafone have a number of international travel passes that let you use your regular UK allowances abroad for a fixed daily charge. 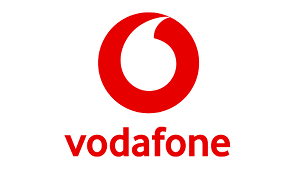 Useful link: Read full details on roaming with Vodafone. 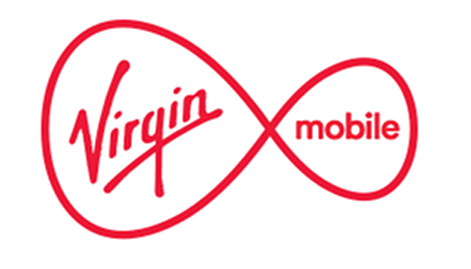 While we might rate Vodafone's deals as being among the more expensive ones available, they do offer some extra value that can offset the higher costs on their more premium bundles. 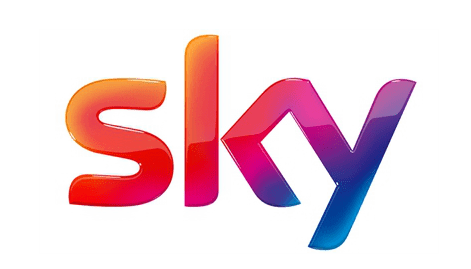 A NOW TV Entertainment Pass worth £9.99 a month, which is an on-demand video streaming service from Sky, featuring content from Sky Atlantic, FOX, Comedy Central and more (see everything you get here). A Spotify Premium subsription. Advert-free music streaming of millions of songs (read full details here). 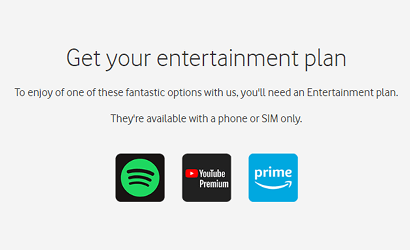 Useful link: How to make your choice of Vodafone entertainment subscription. SIM Sherpa looks at joining rewards for every network in our reviews. 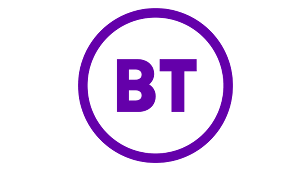 The regular winner is BT Mobile with their regular Amazon gift card offers for taking a SIM or a phone. Vodafone don't normally offer this type of offer but in March they too are offering a £50 voucher to spend at Amazon.co.uk. But only with selected phones. Take an Apple iPhone SE, 6S, 6S Plus, 7 or 7 Plus on a 24-month contract before 11th April and transfer your old they'll send you a text with details on how to redeem your voucher. It's a decent offer but there are a few hoops to jump through, so make sure you follow the instructions under the links below to make sure you definitely get your gift card. Useful links: See phones in offer | Read offer terms and conditions. Every quarter, Ofcom publishes public reports on how many complaints they receive about mobile networks. Out of the major networks, it's Vodafone that receive the most by quite a long shot. 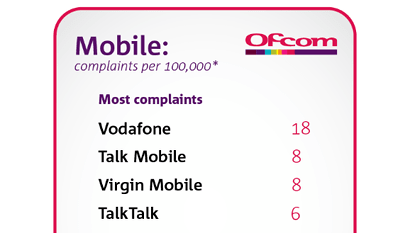 While the average network received 6 complaints per 100,000 customers, Vodafone received 3x that at 18 per 100,000. So what are Vodafone doing about this? 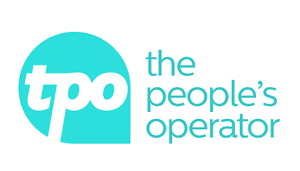 They have announced they're creating 2,100 customer service jobs in the UK, which could help fewer complaints needing to be forwarded to Ofcom if they haven't been resolved by Vodafone themselves. Vodafone have also introduced their "Network Satisfaction Guarantee", which you can read about in the next section. 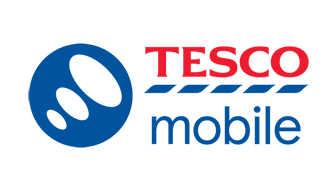 We've also reviewed the best performing networks for customer service, which were Tesco Mobile and Three, who were under the average. Their 30-day Network Satisfaction Guarantee gives you 30 days to decide if you like their network or the product you’ve bought. If you're not satisfied, you're free to cancel and be refunded for anything you haven't used. This gives you re-assurance that you’re not going to be stuck in a long contract if you’re unhappy with their service. 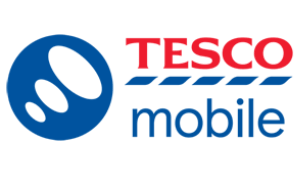 Save 15% on their Pay Monthly SIM only bundles or even 15% on another phone or tablet contract. You can add up to 9 extra products with the discount. You'll need to be on at least a 12-month deal yourself to qualify and become the main account holder for any other deals that you add. This is a nice way for Vodafone to reward existing customers for their loyalty. Useful link: Read full existing customer discount terms and conditions. Overall, SIM Sherpa gives Vodafone a rating of 4 stars so far in 2017 , which means 'good, recommended'. Vodafone score highly on the quality of their network, their range of phones and SIMs plus the amount of data you get with their deals. 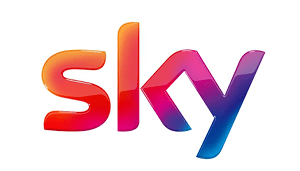 Stopping them getting a higher score are relatively expensive pricing and a concerning record of customer complaints to Ofcom. ★★★★☆ 20GB is huge and should cover most people's neeeds so we can recommend Vodafone if you're a heavy data user. Once you've signed up to a new deal from Vodafone, you'll be given a temporary new number. Then all you need to do is follow Vodafone's instructions on how to get your old number transferred over to them from you previous provider. It's easy and shouldn't take any longer than a working day. As we've mentioned above, Vodafone are unique in giving you 30 days to change your mind and return your product. So if you're not happy, you're free to leave with no questions asked.